Manchester United are not interested in completing a major swap deal involving Anthony Martial and Toby Alderweireld. That’s according to Samuel Luckhurst, who writes for the Daily Post. 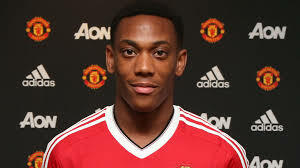 Apparently, the Red Devils want to keep the deals separate, as they try their utmost to keep Martial at Old Trafford. Alderweireld had been linked with a big-money move to Manchester, and a Spurs exit could well be on the cards for the Belgian; who’s contract is winding down. Understandably, the possibility of a potential swap had been discussed, but Edward Woodward and company were keen to keep the transfers individual, similar to how Wayne Rooney and Romelu Lukaku’s moves were completed last summer. Obviously, anything that gives United the best possible chance at keeping ahold of Martial is worth doing. If that means keeping these moves separate, fair enough. I’d even run the risk of losing out on Alderweireld, as there are other centre-back options out there. Martial, well, he’s one in a million. Losing him would be a huge blow. Jose Mourinho should be doing all he can to keep the 22-year-old at United. His ability to run at defences and strike fear into them from minute-one is a rare thing. We should be bowing at his feet.